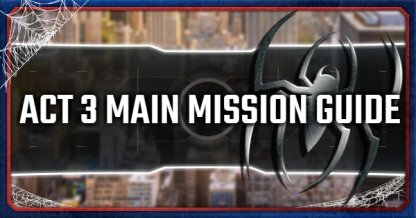 Read this Spider-Man PS4 guide for more information about Act 3 Main Mission Story- walkthroughs, tips and tricks, & more! 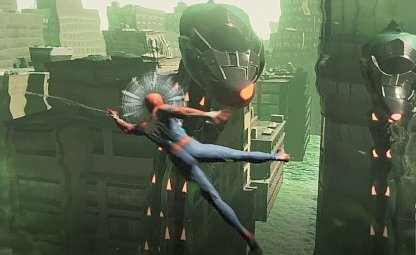 Use moves like Swing Kick, Web Throw, and gadgets to quickly take out enemies by throwing them off buildings! 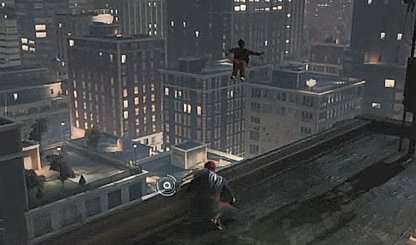 Enemies thrown off buildings will be quickly incapacitated, giving you time to focus on tougher enemies. With so many enemies, you can easily be ganged up on. Make sure to have a move that can hit multiple enemies at once to give you breathing space during fights! 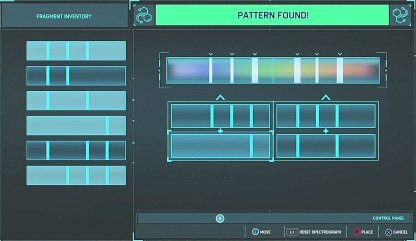 Layer the lines above and below to create thicker lines to match the pattern. Dodge electric attacks & feather blades in this aerial-focused battle against Electo & Vulture. 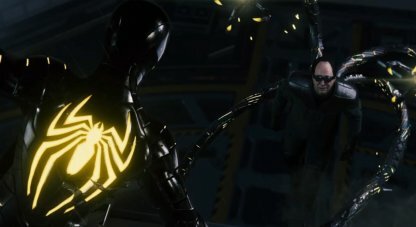 Take note of the on-screen prompts and destroy the conductors to defeat the first two members of Sinister Six. 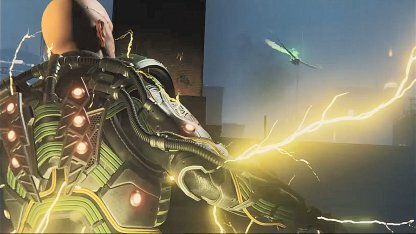 Electro and Vulture are invulnerable to attacks unless you web then up first or get prompted to do so in the case of Vulture. 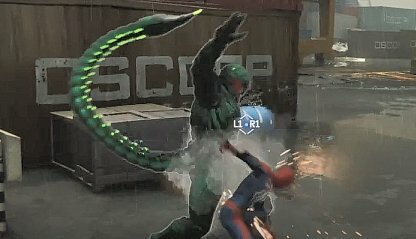 Once you web them, use △ to zip them and start combo attacks. 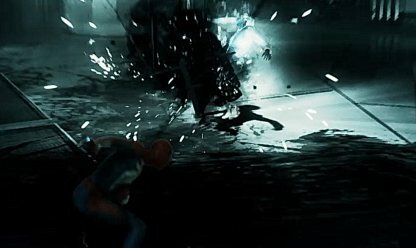 Takedowns will not immediately finish them off when you use them, but they do a lot of damage! Use them whenever you see the prompts. 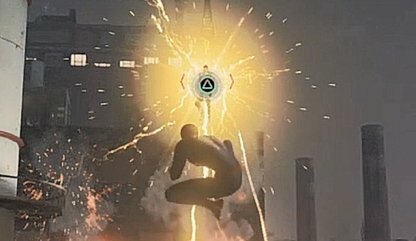 Electro's attacks hits harder and are more erratic than Vulture so focus on taking him out first. 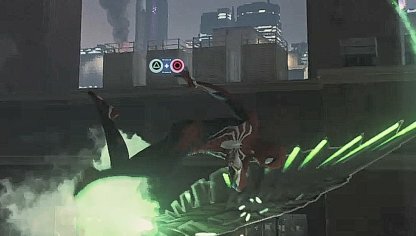 You can easily escape and counter Vulture's attacks while focusing aggro on Electro. 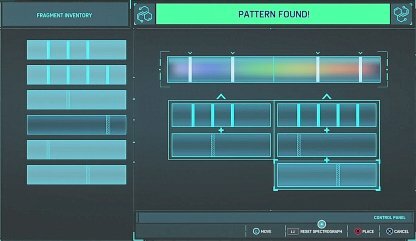 You will need to subtract lines and layer the fragments to be able to complete this puzzle. Put the fragment with 3 lines on the top left and the fragment with four lines at the top right. 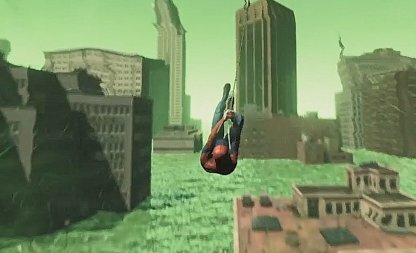 Use web zips to cover more ground without losing altitude as you traverse through the poison-flooded streets of New York. It's good to always check if you have buildings to attach to as you move. Scorpion Tails will come out from the poison pools to strike as you find the 2nd and 3rd ingredients. 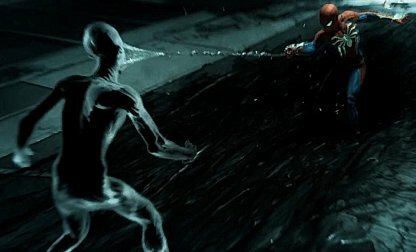 Take cue from your Spider Sense to dodge them before they could hit you. With just a few hits, you can easily bring down a Scorpion Hallucination. Focus more on dodging and looking for openings to web them up before going on the offensive. 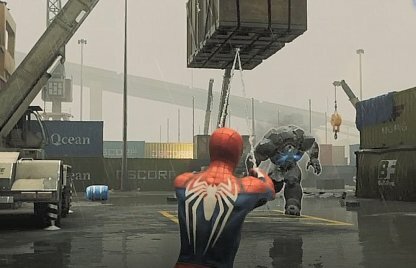 As Spider-Man, Head to F.E.A.S.T. Don't step on broken glass to stay hidden. 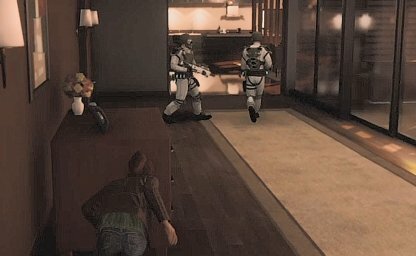 Walking on the glass will create noise that might alert enemies to your location. Make sure that you are out of the line of sight of the guards before moving between cover. If they find you, it's game over and you will have to redo the section again. 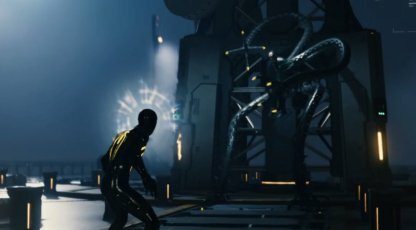 You'll have to think fast as you get pressured by the charging presence of Rhino and the agile strikes of Scorpion in this boss fight. 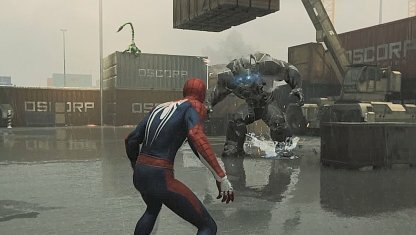 Throw objects at Rhino and web up Scorpion to win this fight. 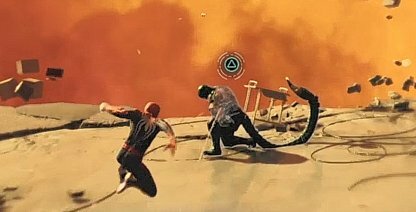 Scorpion can be an annoying obstacle in the fight so it's advised to take him out first. It takes little to eliminate him so focus damage first on Scorpion before dealing with Rhino. Yellow outlines around the cargo indicate overhead objects you can use to bring down Rhino. Lead him to these areas and time when to pull down the objects to stagger him. Scorpion will use height to his advantage and you will need to bring him down to the ground. Web him up then press △ to Web Zip and start a combo! 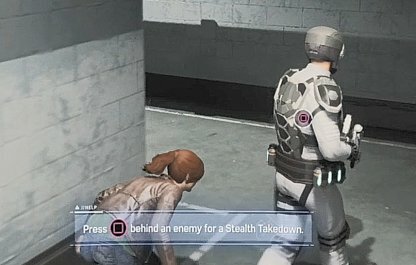 MJ will be able to perform takedowns with the Stun Gun, but only if the target is unaware of her position. 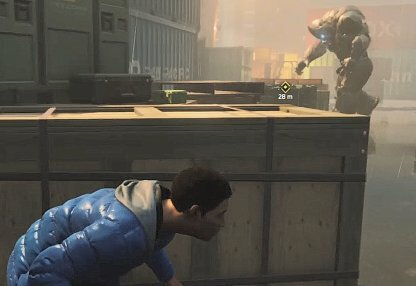 Sneak behind enemies to take them down! After two battles, you'll finally face Mr. Negative for the last time in the negative space. Fight your way against his henchmen and a large negative energy oni to finally take him down. Mr. Negative's sword attack packs quite a punch so throw an object at him to stagger him then use △ to zip up to him and start a melee combo. 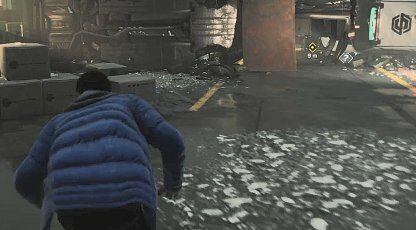 Time when you jump back to escape his attack! Mr. Negative will summon henchmen during your fight with him. Take a few of them out first before focusing on Mr. Negative as they give you focus and it'll clear up the battlefield! Mr. 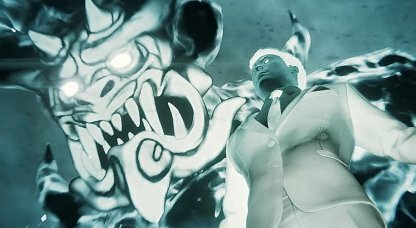 Negative's demon will appear a couple of times in the fight to do some damage. When he swipes his arm, jump with the "X" button to avoid it. 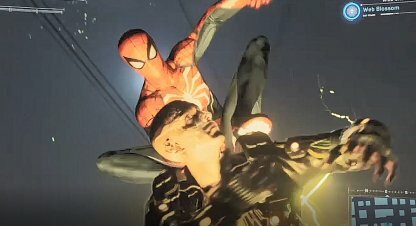 Spider-Man must finally confront his former mentor as he falls from grace. 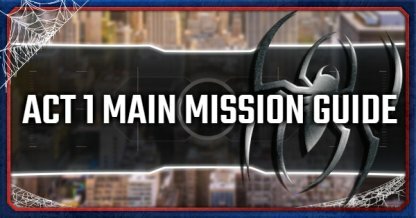 Doctor Octopus offers a challenge with tentacle attacks, floors on fire, and thrown attacks as he stand between you and saving New York City. 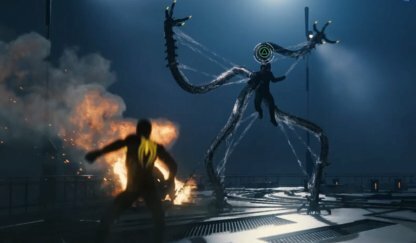 Doctor Octopus is pretty agile with his arms so incapacitate him for a bit by webbing up his arms. 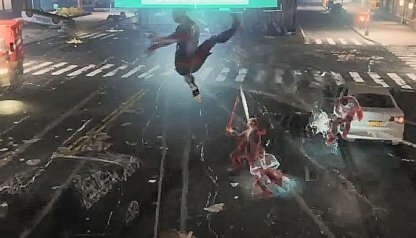 Use △ once he is all web up to start a combo, but make sure to jump back in time to escape his attacks. 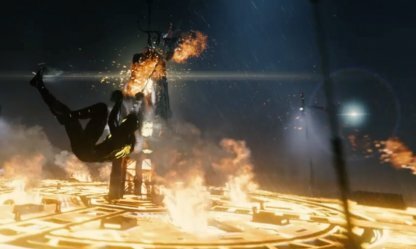 When Doctor Octopus climbs the tower, he sets the floor on fire, making it dangerous to step on it. 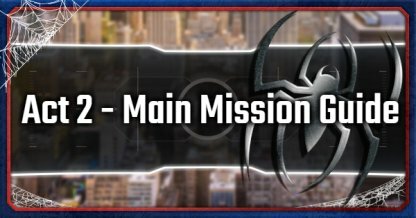 Utilize your web-slinging moves and the "R2" button to swing above the floor & get to Doctor Octopus. 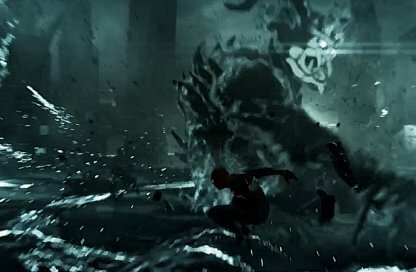 Your Spider Sense will show up on-screen to indicate when Doctor Octopus will attack. Press the "◯" button to dodge & avoid damage.